Ever noticed how much of the talk around the new year focuses on our appearance? There is an underlying premise that if we just put more effort and energy into losing weight or getting clearer skin / longer hair / a more stylish wardrobe this will be the year we will achieve success and gain happiness. Ever noticed too how often when we begin the new school year we start by telling our students all the things they shouldn’t do? I sat at an introduction to technology meeting last week and noted that the first 30 minutes was spent telling the girls all the things they must not do with their laptops. I had to wonder how inspired the girls (and their families) may have felt about the new laptop program after hearing a sermon on all the restrictions and the consequences of mistakes that may be made. Tellingly, despite the fact that the girls all walked out with a new computer, I did not see many smiles. Let’s dare to do things differently. Let’s begin the year by raising girls up. Let’s (re)connect them – to their bodies, to their learning, and to other girls and women. Please take risks. If you really want to do something and you’re secretly worried that people will laugh at you, this is a good reason to do it. If that means telling someone that they’re being an arse, or that you like a TV show everyone else hates, or you want to play electric guitar (which you should totally do p.s.) or learn French or wear leggings as pants, DO IT…You might not realise it yet, but the coolest people in the world are the ones who don’t care what other people think. Karen Pickering. Karen is the host of Cherchez la Femme, co-founder of The Dawn Conspiracy, and one of the organisers of SlutWalk Melbourne. Never let anyone judge you on the way you look. Your heart and mind are all that count. Tracey Spicer. Tracey is a news presenter and journalist. Every time someone tries to silence you, just get louder. Never let anyone bully you into believing that your voice doesn’t count. Clementine Ford. Clementine is a freelance writer, broadcaster and troublemaker based in Melbourne. Don’t take yourself or anything else too seriously. You are allowed to have fun. Jane Caro. 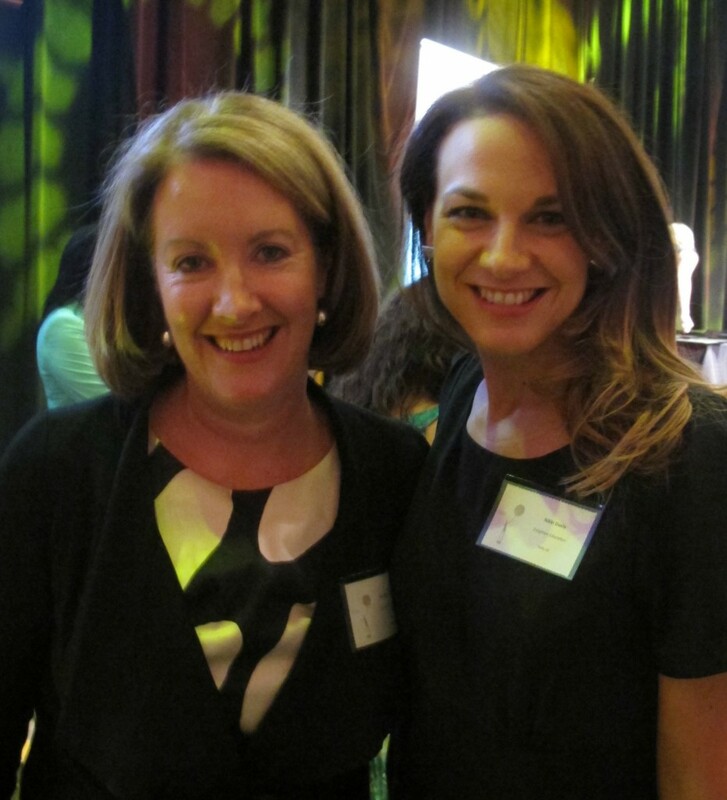 Jane is a media commentator, writer and senior lecturer in advertising with the School of Communication Arts at UWS. Your intuition is usually right. Nikki Davis. 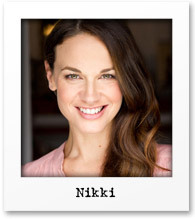 Nikki is one of Enlighten’s stellar presenters. Each moment in life will pass whether it is good or bad so move forward without fear. Diane Illingworth Wilcox. 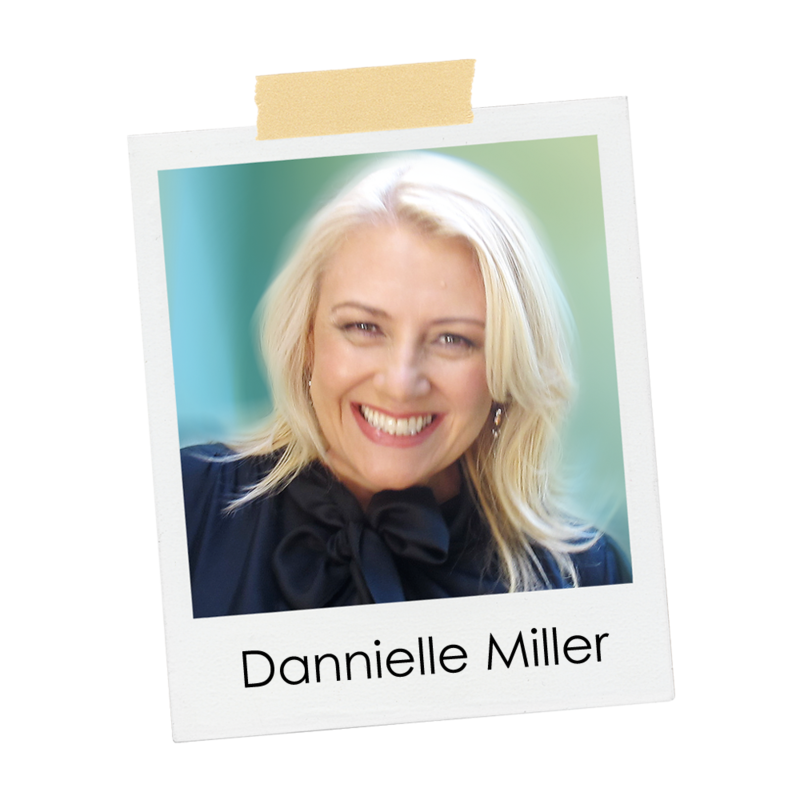 Di is Enlighten’s Program Manager, Western Australia. Be a good listener. Always try to see things from other perspectives and don’t be afraid to admit when you’ve made a mistake. Catherine Manning. Cath is an amazing Enlighten Presenter and the founder of Pull The Pin, a protest group working to ban child beauty pageants. Never be afraid of who you are. Monica Dux. 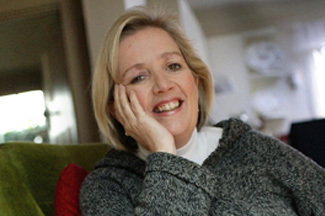 Monica is a writer, social commentator and co-author of The Great Feminist Denial. There is inside of you a unique spirit of courage, wisdom and beauty. There is no one just like you. That’s your incredible truth. Don’t be afraid to express an interest in social justice issues or other movements that interest you (like the environment!). If someone tells you that you are "overthinking" an issue, chances are they are "underthinking" it. If they tell you that you are "over analysing it" chances are they aren’t analysing it at all. Remember, it’s OK to have an opinion. All interesting women do. Nina Funnell. Nina is a social commentator and freelance opinion writer. She works as an anti–sexual assault and domestic violence campaigner and is also currently completing her first book on "sexting", teen girls and moral panics. Perhaps at your next staff briefing, or Parents Association meeting, you might like to think about how you can dare to raise your girls up, and about what advice you think they really need to shine in 2012. We’d love you to share your thoughts here too. Last week Enlighten Education presenter Nikki Davis shared stories from her time as a young model dealing with the body-image pressures of the fashion world. This week, to help inform the many girls who want to be models, and their families, Nikki gives us an insider’s look at the positives, the negatives and some of the practicalities of life as a model. Girls who love clothes and makeup will enjoy many aspects of modelling, such as wearing new fashions before their friends do, having expert makeup artists working on them using top-of-the-range products, getting invited to launch parties, and receiving free products and goodie bags. When girls think about the positives of being a model they immediately think of these perks, plus all the attention. But there are also long-term and substantial benefits a girl can get from modelling if she handles it well. Modelling is a chance to meet and learn from a wide range of different people. I have worked with artists in their own right such as fashion designers Alannah Hill and Akira Isagowa, choreographers Jason Coleman (from “So You Think You Can Dance”) and John “Cha Cha” O’Connell (who worked on “Moulin Rouge”), and many brilliantly talented photographers and hair and makeup artists. Some of these contacts have led me toward other opportunities such as acting, writing for dance publications and mentoring young performers. Modelling also brings some girls the opportunity to travel overseas, and that can be great learning experience. The fashion industry is obsessed with youth: me, second from right, modelling "Mother of the Bride" outfits at just 29! Modelling can also be an inroad to related careers such as acting, television presenting, or working as an agent, booker, makeup artist or photographer. The key is for a model to always be planning for the future, even at the height of her career. The fashion industry is obsessed with youth, so models as they head towards 30 start to get panicky if they haven’t trained for any other role and perhaps left school at 15 or 16. As a girl, my primary focus was always to finish school and go to university. A lot has been said about the photoshopping trend in magazines and advertising. I once got a total shock when I saw a magazine picture and didn’t even recognise myself. When Sarah Murdoch appeared on the cover of Women’s Weekly free of airbrushing, she said, “I think when I’m retouched in photographs it’s worse, because when people see me in real life they go, ‘Oh God! Isn’t she old! '” But the fact is: once a model is past a certain age, clients don’t bother to hire and then retouch her unless she has a big name. Indeed, only the big names such as Sarah Murdoch ever have much chance of getting the high-paying, glamorous jobs. For the vast majority, modelling won’t pay the rent on its own. The hard reality in Australia is that only the top 5% of models are doing the amazing jobs — the fashion magazine editorials, the sides of buses, Australian Fashion Week. The rest are doing the type of jobs that I have mostly done — the mall and department store catwalk shows, catalogues, That’s Life magazine. The pay for those jobs is not all that high, and there is rarely enough work available for girls to model full-time. All the more reason why they need to acquire additional skills. The financial pressure is heightened by the fact that as a model you are expected to be ready for castings on short notice, and that means spending big dollars (and hours) on being manicured, pedicured, fake tanned, fashionably dressed, and having good hair and teeth — all the time. Another thing girls should be aware of is that modelling can change the way people see you. Others sometimes make an immediate assumption that I’m not particularly bright, and that is incredibly frustrating. Guys might assume that all models are party girls and I must be out all night at bars. Women automatically think that life must be easy for me and I have never worried about my body or appearance (if only!). Or they transport me right back to the schoolyard by picking my flaws — “I can’t believe she models with a bum that size” and so on. When you’re on a catwalk or in a magazine, you are putting yourself out there to be judged, and that judgment won’t always be favourable. Similarly, models need to get used to being rejected at castings. There will be times when you are not what the client needs — maybe they needed a petite blonde and you’re a tall brunette — and models need to learn not to take it personally. Ironically, all these negatives I’ve raised do have the potential to be positive, if they help a girl develop resilience. If she can learn to deal with the inevitable self-esteem jolts of modelling, she can draw on that inner strength for the rest of her life, in any situation. 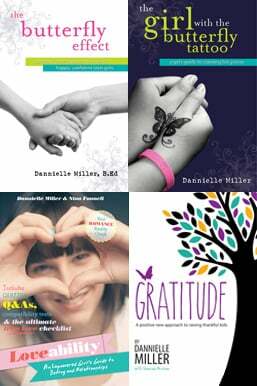 The key to becoming resilient rather than being crushed is to do what we talk about with girls through Enlighten: remember the real reasons why you’re special. Perhaps you fit into society’s idea of what is good-looking, and you can model, make some money and have some experiences — that’s fine. But remember why your friends like to spend time with you. Stay focused on all the other achievements and activities you’ve got going on in your life. They are words for us all to live by. I know that it can be a real source of anxiety for parents when their daughter announces that she wants to try to break into modelling, so next week Dannielle Miller will conclude this three-part series of blog posts by looking at ethics in the industry, hypersexual images of girls in advertising and how to talk with your daughter about her desire to model. 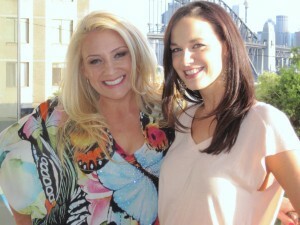 With Enlighten Education CEO, Dannielle Miller, at the launch of her book "The Butterfly Effect". Looks like thin is no longer in. Skeletal is the new body ideal judging by the physiques of the female celebrities who are hot property right now. I have to confess that I, and a number of my friends, were more than a little excited about the premiere of the new 2008 version of 90210. We were all huge fans of the original 1990’s series. 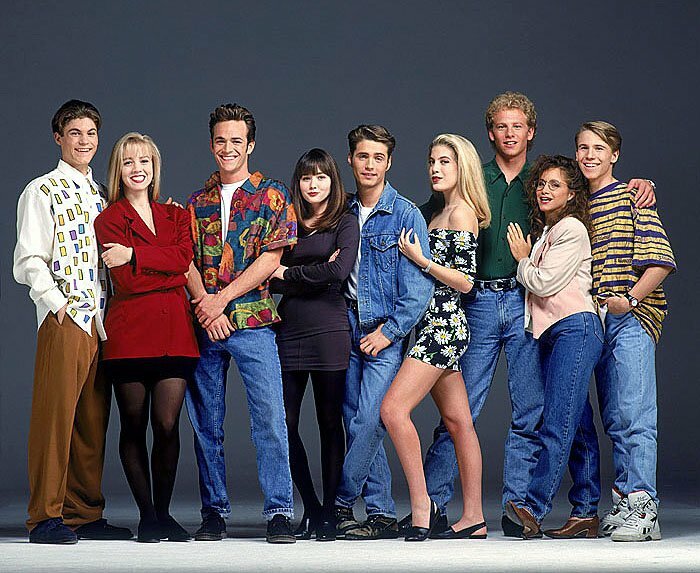 The first ever episode aired when I was 13 years old and I was immediately hooked – complete with a huge crush on Dylan and a keen eye that followed the fashion choices of my new role models. So I must admit that the thought of catching up with Kelly and Brenda again had me refusing to take calls from 8:30pm on the first night it aired. And yes, it was fabulous to see Kelly and Brenda again (who were reunited at the Peach Pit nonetheless!). However, I was very distressed by the new female cast who now play the children and little sisters of the originals. They are so thin. I am talking painfully thin. The lead girl “Annie” (played by Shanae Grimes) and her friend “Silver” (played by Jessica Stroup ) are excruciatingly skinny. As one of my mates so eloquently put it in her text message to me during the show the other night, “Watching this is making me hungry”. The characters must be hungry too as the only consumables we saw in Episode 1 were alcoholic beverages, coffee and salads (Annie had salad for lunch in the cafeteria, I guess you can’t look as tiny as she does by eating carb’s/protein/fat/non-vegetable matter). Why can’t teens on TV eat real food anymore? Even The OC had the girls eating burgers, fries, milkshakes and Thai takeaway…. Turns out my friends and I were not the only ones who noticed how thin these new stars are; a couple of articles have popped up on Entertainment websites claiming that “sources” inside Hollywood are reporting talks on set and at the network about the girls’ weight. One article even claimed that the male stars of the program are planning to stage an intervention with the girls as they never eat and the guys think it is unhealthy. Well if this is true, then go guys I say! Below are pics of the old and new cast… the new photo doesn’t really show just how thin the young girls are in the series (perhaps they airbrushed them to be less thin for the pics?) but oh how the concept of a “hot body” has changed over time. I grew up in the Supermodel era where Cindy Crawford reigned supreme. Cindy was a genetic freak (she was so strikingly beautiful) but her shoulder blades wouldn’t have taken an eye out – she had some flesh on those bones. In the late 90’s Kate Moss rose to fame and the fashion industry deemed the “coat-hanger” was the new body ideal. In turn, this lead Hollywood down the very thin, and the carb-less, garden path. Researcher Botta, in the 1999 study on television images and adolescent girls’ body image disturbance, made the observation that “our culture’s obsession with the thin ideals is now played out in the media via models and actresses who may have eating disorders themselves, who may have personal trainers to help them maintain a thin body, and whose bodies, as portrayed through airbrushing and camera-angle techniques, may not even be their own.” What would Botta have made of 90210 – 2008 style? Surely it’s not just me being alarmist, and surely the new “Beverly Hills waifs” provide just one example of how much worse have things become. We are now seeing children as young as 8 hospitalized with eating disorders. Dieting, detoxing, purging…all have become normalized. I have been engrossed in the work of Courtney E Martin; her book “Perfect Girls, Starving Daughters” really sums it up as she points out just how “normal” it has become to equate thinness, food deprivation and excessive exercise with success. Martin also looks at just how much time women spend thinking and obsessing about dieting and their bodies – is this what we want for our young women? To rate “thinness’ over wit, intelligence, talent, warmth? To waste their energy thinking about how they look in skinny leg jeans? No way! I am hoping the backlash over the body shapes presented on the new 90210 continues to grow. We need to be speaking about this! We need to open our eyes and minds to a broader concept of gorgeous. Because this look is killing us – literally. Finally, on a lighter note, if you do still pine for your fix of 90210 (there are rumours of Dylan making an appearance so I can’t tune out yet!) or one of the array of other crappy American shows of this genre – do as my friend does in her share house with the four young women she lives with. Make Monday nights “90210 and cookies” night. Indulge in all the fun, fashion and cute boys without the starvation.